Upward Trend began in January, 2008 and in that first year, we built a website for a client who had just begun selling archery equipment. It became his main business and has grown dramatically from when we first began with them. 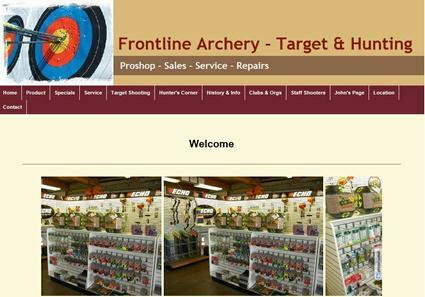 Now, Frontline Archery has just become our latest Trend Setter Package client and we will be redoing their existing website, adding a blog, social media including facebook, twitter, linkedin. We will be doing video and adding a YouTube channel, a monthly newsletter, SEO optimization, consulting and more all in one monthly amount. We are pleased to expand the power of Frontline Archery's Internet presence with the proven Trend Setter Package. Look for more from Frontline Archery soon. See their current site at www.FronlineArchery.com.